Students take advantage of the mobile desks and chairs during a session at YouCode (Photos by Megan O’Herron). YOUSSOUFIA—In the center of this small city in western Morocco, among peach-orange buildings, the YouCode coding school stands out, not just because of its four-story bright white modern exterior, but also for the ideas it fosters inside. Tuition-free and open to anyone 18 to 35 years old regardless of prior education, YouCode brings together students from across the country and from a variety of backgrounds. 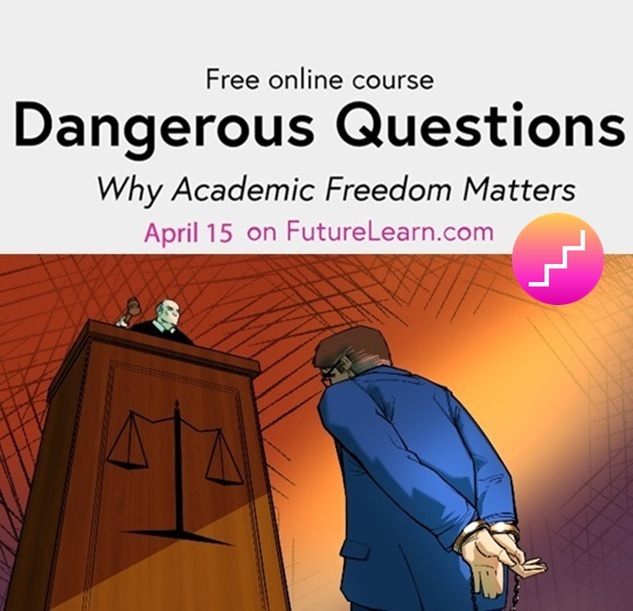 It offers them what it sees as a much-needed, updated style of education to prepare them for jobs in an economy that increasingly demands information-technology skills. 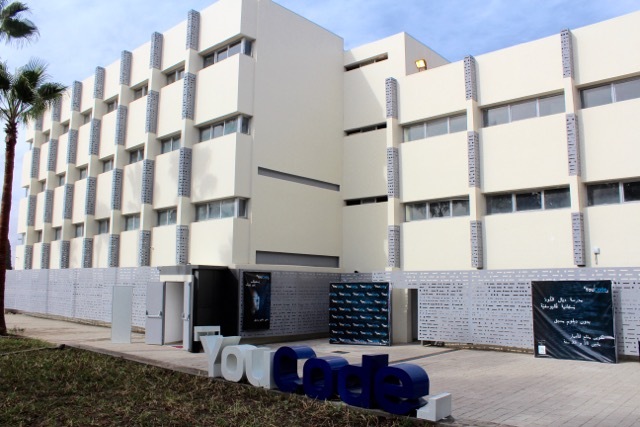 YouCode was created by a partnership between the OCP Group, Morocco’s national phosphates exporter, whose local office is next door, and the French-based organization Simplon, known for establishing coding schools around the world and a “social inclusion” philosophy that seeks to make jobs in the digital sector available to those underrepresented in the field. Similar efforts are happening elsewhere in the Arab world, and around the globe. In Jordan, for example, ReBootKamp (RBK), a Silicon Valley-based nonprofit, has been providing coding bootcamps to both refugees and local young people to help them find jobs in the tech sector. In Iraq, the organization Re:Coded offers coding bootcamps and a tech entrepreneurship academy in an effort to prepare young people for a more digital economy. 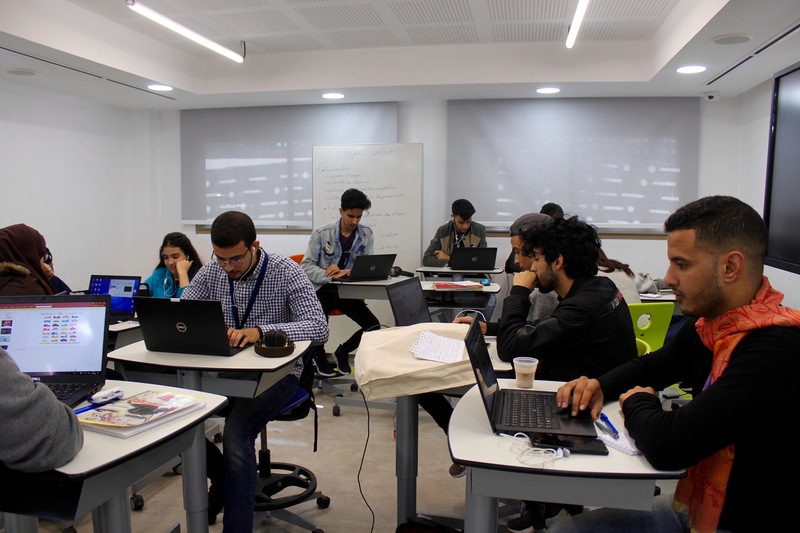 YouCode, Simplon’s first training center in Morocco, represents a growing recognition of the need for change to deal with the country’s high rates of school dropout and youth unemployment. Youth unemployment in Morocco is more than 22 percent, which is more than double the overall unemployment rate. Additionally, many young people are not trained for the jobs that are available. A McKinsey Global Institute study on education and employment from 2013 found that 12 percent of Moroccan employers say that a lack of skills is the main reason for not filling entry-level vacancies, and only 53 percent of employers agreed that graduates and new hires are adequately prepared for their jobs. YouCode’s curriculum attempts to answer those issues with a balance of technical training and personal development coaching. Its program is built to closely mirror the professional setting. The ultimate goal for all of YouCode’s learners is job placement after graduation, and the school’s structure reflects that mission from top to bottom. 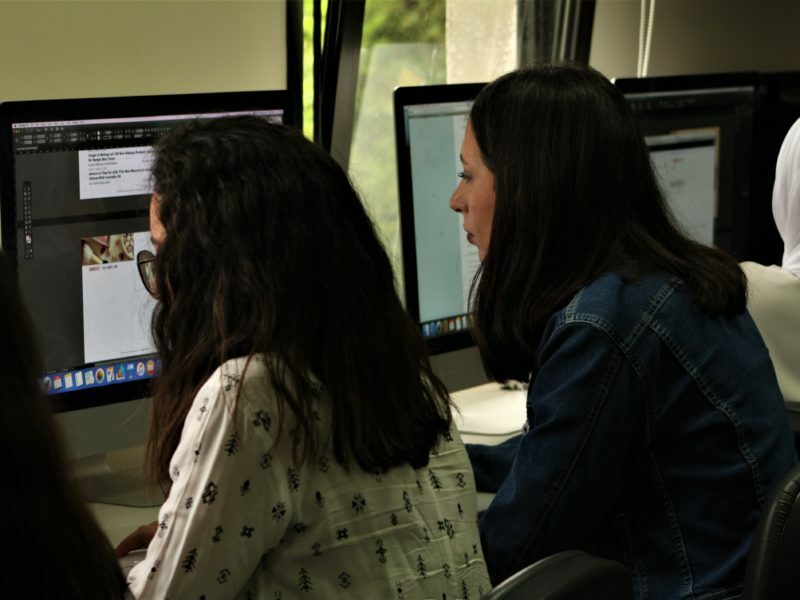 Not only does it have a team of coaches and administrators with years of experience in Morocco’s technology sector, it also works closely with companies on developing a curriculum oriented toward this goal. 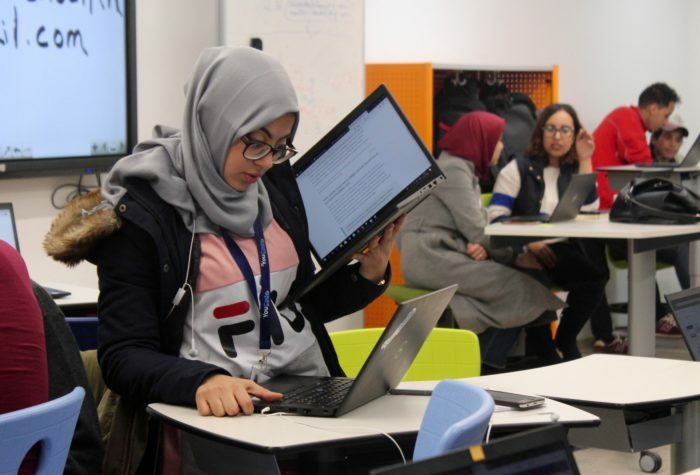 Sidi Ali Maelainin, who works in corporate citizenship for IBM in Rabat, pointed out that in Morocco, there is a growing demand for employees to fill “new collar” jobs, which emphasize specialized technological skills more than college degrees—the kind of training YouCode advertises. Developing this balance of skills is the basis for YouCode’s program. 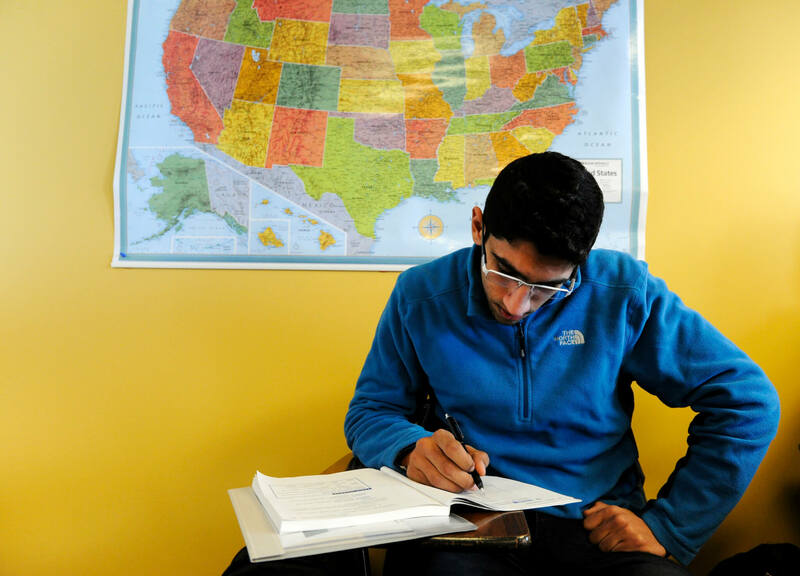 Last October, the school welcomed its inaugural class of 112 students, 68 percent of whom are from cities other than Youssoufia. Over the next two years, this group will develop technical skills in computer programming as well as soft skills like public speaking, time management and teamwork. Instead of the teacher-student structure common in schools and universities, the instructional model focuses on team projects and peer-to-peer learning. This structure is the result of an educational model developed by Simplon, which began in 2013 in Paris and now operates a network of over 40 schools across France and worldwide. Simplon’s “factories,” as it calls its training centers, focus on helping people develop all of the skills they’ll need to succeed in the workplace, emphasizing the overall development of personalities, rather than just technical abilities. At YouCode, evidence of this collaborative approach is everywhere. Students are not called students but “learners,” and teachers are “coaches.” Chairs and desks have wheels to facilitate flexible seating arrangements. Even the walls of the classrooms can be moved to encourage teamwork and communal learning. This statistic is reflected in the varied backgrounds of YouCode’s students. Many incoming learners have degrees from universities or years of experience in the traditional school system, but have come to YouCode looking for new opportunities. Laila Mihaidrat, 30, ended up at YouCode after almost 10 years in the university system pursuing a Ph.D. in paleontology. 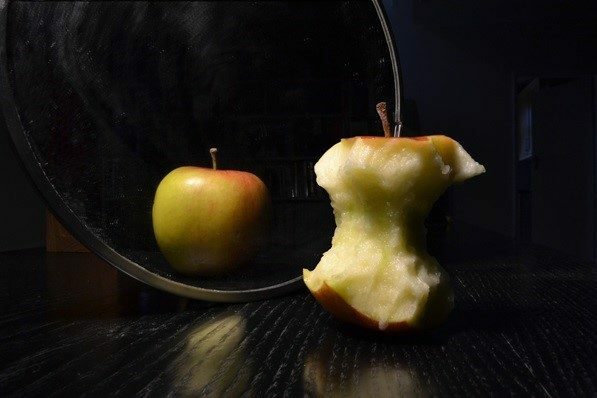 Although she had very little previous coding experience, Mihaidrat said she has already grown in the first few weeks at YouCode, both as a programmer and as a person. 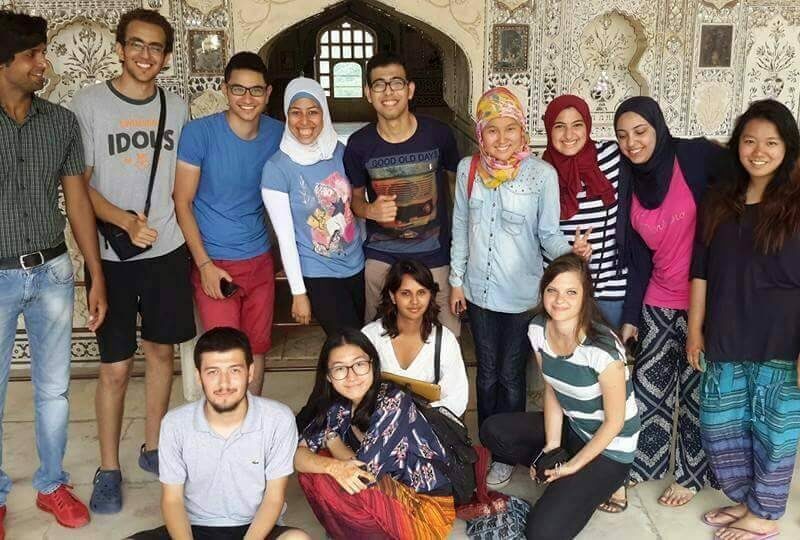 Megan O’Herron spent several months in Morocco on an SIT study abroad program, and produced this story in association with Round Earth Media. Additional reporting by Saida Sikou.